Easter on the Beach. Luxury Spanish Beach Holidays this Easter. Easter in the Sunshine. In 2019, the Easter holidays fall at the end of April, with the Bank holiday weekend from Friday 19 April to Monday 22 April. It is the ideal time to get away for a luxury beach holiday break in Spain! With beautiful, warm, April weather and a wealth of things to do and see, your Easter Holiday at El Oceano will be just wonderful! The first major holiday of the year, Easter is a wonderful time on Spain’s Costa del Sol! At El Oceano Luxury Hotel, we can make your Easter Bank Holiday something very special! Our 55 stunning rooms, suites and self-catering apartments are some of the best you’ll find on Spain’s beautiful south coast. From very affordable Double Rooms, right up to the exclusive – and spectacular – Penthouse Suites, El Oceano Hotel is a true touch of elegant luxury. Tastefully decorated, fully equipped and perfectly appointed, our hotel rooms and suites have been wowing regular guests for years, and we think, rightly so!! The moment you walk in to El Oceano, you will be struck by the quality and attention to detail throughout the hotel. The location of out hotel just couldn’t get any better! We are, literally, right on the beach, with most of our hotel rooms having magnificent, unspoiled Mediterranean views. We don’t call ourselves a ‘beach hotel’ for nothing! In the distance, you can see as far as the North African coast, the Pillars of Hercules and the Rock of Gibraltar. And just under your nose, a quiet, secluded beach. Luxury. Tasteful and spacious, the rooms, suites and studios reflect a subtle and elegant luxury at El Oceano. The perfect Easter Bank Holiday hotel! With three beautiful dining rooms, our restaurant is second to none. Spacious and bright, the panoramic windows offer simply amazing views over the sea and from many tables, you really will feel like you’re on the deck of a ship. And the food!!! Our menus are carefully crafted by only the best chefs we can find, all with the freshest ingredients, presented in a way that will make your eyes smile!! Reservations for Easter are coming in, thick and fast, so to speak! 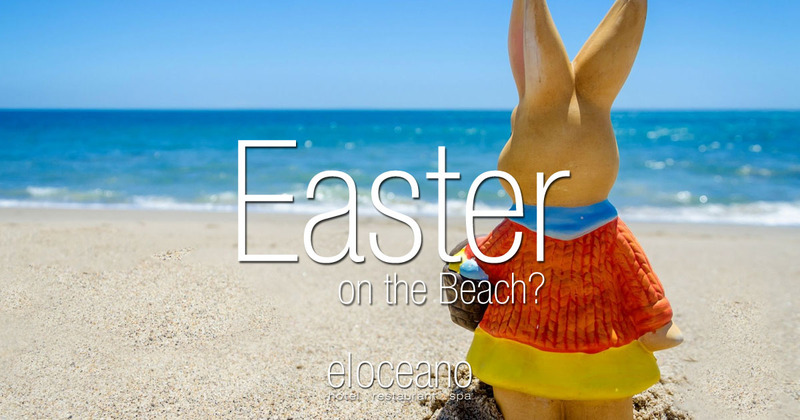 If you’re considering Easter at El Oceano, consider it sooner, rather than later. Sundays are always busy, Easter is always busy, Easter Sunday is… well, busy!! Open every day and evening throughout the season, the A la Carte Menu is always available, plus a lighter Lunchtime Menu for those looking to idle and afternoon away with a mouth-watering light meal, accompanied by a bottle of carefully chosen wine. Fully revamped and refurnished over the winter hibernation, our VIP Terrace is the only place to be – and be seen – this Easter! Perhaps the most popular of the services we offer, our Awesome Afternoons are something of a legend, here on the coast. There are few things quite as relaxing as your own private sunbed, with personal waiter service, right on the water’s edge! While away the afternoon with friends – and a few cocktails – in the garden terrace, next to the swim-up Pool Bar! A little touch of decadence for the perfect luxury afternoon!